This book is for Django developers with little or no knowledge of test-driven development or testing in general. Familiarity with the command line, setting up a Python virtual environment, and starting a Django project are assumed. Test-Driven Development (TDD) simplifies the trickiest of software tasks with its unique ability to peel back problems into layers. 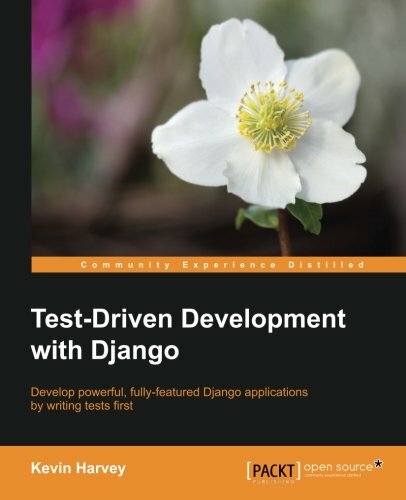 The testing tools available in Python and Django make test writing a joy, and the full coverage test suite that results from TDD is a boon to any project. This guide to developing with Django takes a test-first approach: write a test, then write enough production code to get it to pass. You'll quickly get hands-on experience, writing tests for a database-driven application with the TDD methodology. Use this book to build the skills and habits that make testing a regular part of your workflow.